It was December of 2016. I was sprawled in yoga class following savasana when inspiration hit like a tornado! The message was crystal clear. On the 50th day of the year, bring together 50 women over the age of 50, to celebrate together and to create a collaborative, supportive community. With that, The Fierce 50 was born. As we approach the 3rd anniversary of The Fierce 50 and the birth of Forever Fierce, there has been an evolution of the revolution with a mission that now expands throughout the globe. 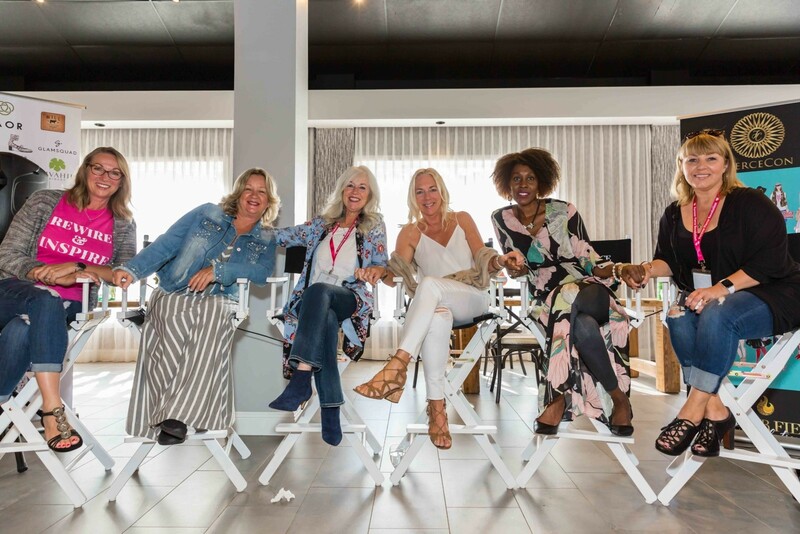 Although the Fierce 50 was launched by 4 fashion bloggers, Cathy Williamson – The Middle Page Blog, Shauna Robertson – Chic Over 50 and Deborah Boland – Fabulous After 40, it was never about fashion or blogging. The vision was to connect women over 50 through their hearts and stories and to shift a cultural perception of older women to one that is vibrant and empowered. This dream, this vision, and this mission has touched women from around the world and is changing lives daily. The Fierce 50 exploded onto the scene with only weeks to prepare to a reception that was both heartwarming and overwhelming. It was as though the world of social media lit up for the very first time as women over 50 became visible and connected. Midlife isn’t an age. Midlife is an experience where a woman begins to see herself differently. The community has grown from 70 bloggers to 6000 women around the world, organically via word of mouth alone. Women have linked arms literally, virtually, and metaphorically, through the community as well as events and meetups with a desire to create meaningful friendships and connections. Their bond is strengthened through the beauty and wisdom only women at Midlife and Beyond know to be true. The revolution is one that begins with a spark from within and extends through a powerful ripple effect throughout the world. Week 1 – A handcrafted parasol from Lily-Lark courtesy their founder and FFR member Lisa Selwitz. Week 2 – Just in time for Valentine’s Day, a Katia Designs Necklace by FFR member Catherine Rudnick. Week 3 – Stand tall with a PostureFit Exercise Bar by FFR member Elizabeth Welch. Week 4 – Walking Cradles Shoes by FFR member Lisa Schmitz. Please note that only members from the US & Canada are eligible. 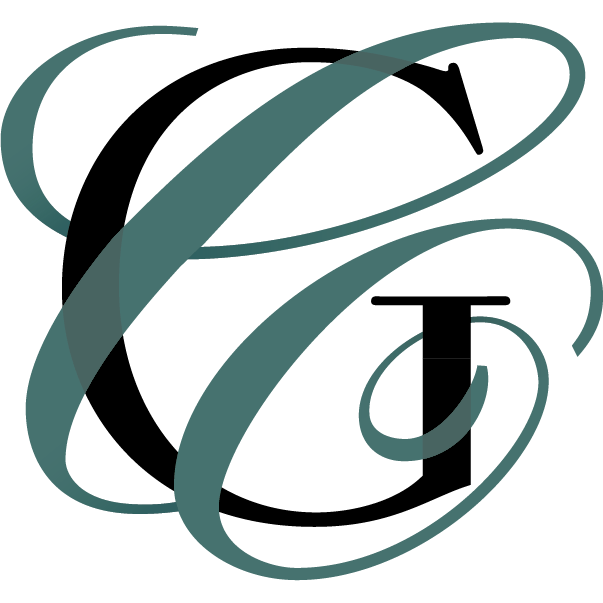 Get ready for the launch of The Forever Fierce Book Club and our first book by Forever Fierce member, Oprah Favorite, and author, Cheryl Richardson. Be on the lookout for 3 personally signed copies of Cheryl’s book, “Waking Up in Winter,” and an extra special LIVE hosted by Cheryl on February 27th at 1pm EST. From the Oprah show to Forever Fierce – the connections continue and this is an incredible opportunity to listen to one of the most incredible life coaches on the planet! 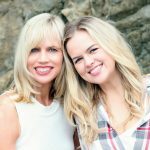 February 19th is our 3rd Forever Fierce Day with a contest where women will light up social media once again and share “How has Forever Fierce changed your life?” Meetups are being held around the country over the next 2 months in Los Angeles, San Francisco, Chicago, and New York City with more being added every day. As the community has grown, so has the team. The volunteer team, “Catherine’s Angels,” are the kindest and most heart-centered women on the planet. The application process is simple. The only qualities that matter are kindness, compassion, empathy and a deep desire to make a difference in the world. There’s a natural attraction that happens and aligning a team united in making a difference and empowering women at Midlife and Beyond to see themselves in a whole new way. The mission is one to Inspire, Rewire, and Be Relevant. As Jen Dulski, Head of Facebook Groups and Community and author of “Purposeful” shares in her book, a movement doesn’t begin with only one woman taking a stand for change. A movement happens when other women join beside her and unite together to make a difference in the world. Looking back over the past two years, so much has happened yet we’ve only just begun. Be sure to subscribe to our newsletter and in this issue you can get some further history on FFR! Who would believe that a group of Midlife women could create 3 social service campaigns (with absolutely no experience!) that have touched over 10 million in following. These campaigns, The Fierce 50, Bridging the Gap and Forever Fierce Day have been revolutionary. 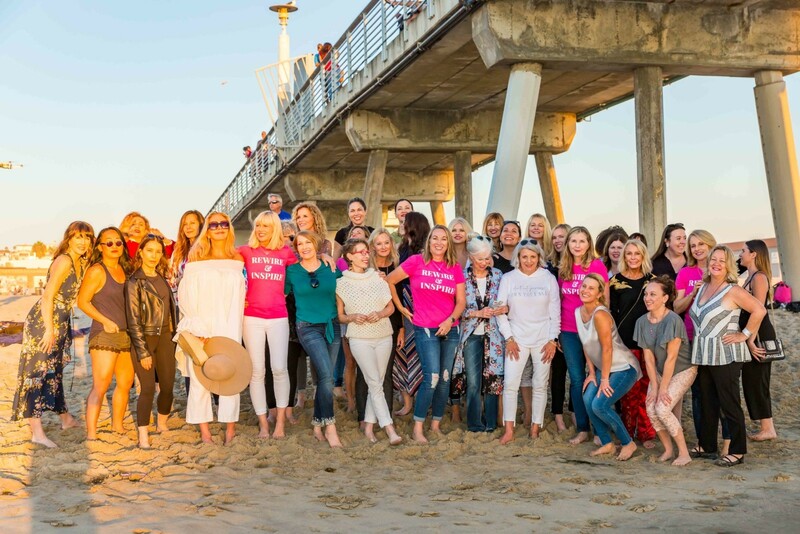 Bridging the Gap was unprecedented in uniting 100 Millennial and 100 Midlife Influencers together to “bridge the gap” between their generations and connect through their stories to create unique bonds with a focus on “Reciprocal Mentorship.” We are truly stronger together. 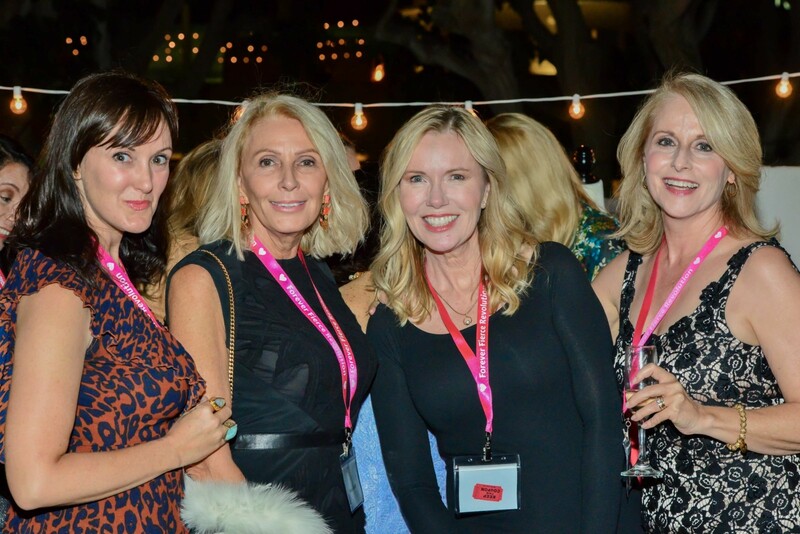 Our mission is to unite women all over the world, to rise together and to spread the message that women at Midlife & Beyond are here to stay and more powerful than ever before. You should be so proud! The Fierce 50 is also the Mighty 50! I love that. A might 50 with Moxie! Oh goodness, Catherine! What a privilege and gift it is to be a part of this community! These really are lasting friends! And they truly care! When one of us is hurting we all weep together and when one is celebrating something wonderful we all celebrate together! It’s like the curtain has been drawn back and we now are free and not only unafraid to connect but we run towards it! Because here we find inspiration, and to be a little corny but I mean it with all my heart, “It’s a whole new world! Don’t you dare close your eyes!” Thank you, Catherine for believing and pushing forward relentlessly for a brighter today and tomorrow for all of us! Yes, it is a whole new world, sister…for all of us. I love that we are there to lift one another up. That’s part of life. The ups and the downs. The downs are a lot sweeter with friends to lift us out of them, aren’t they?